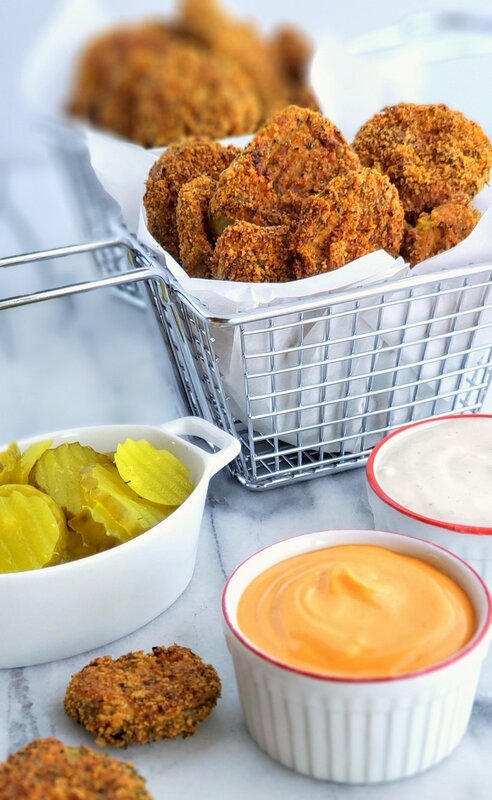 Whip up these Low Carb Air Fryer Pickles in minutes. The perfect guiltless snack for any gathering. I love, love making and eating Fried Pickles. They are the perfect snack for so many occasions. However, they can definitely be a high calorie and high carb snack that doesn’t always fit into your diet plan. 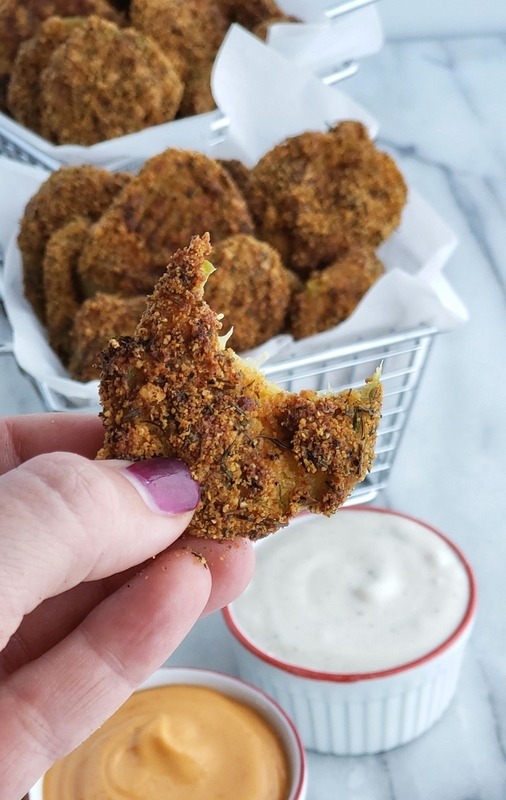 By making these air fryer pickles, a low carb snack that also happens to be keto friendly, you can easily have a second helping. They are just as delicious as my Low Carb Bacon Cheeseburger Salad. It sounds like a redundant question and it doesn’t mean you are going to deep fry and then air fry. And the answer is yes! 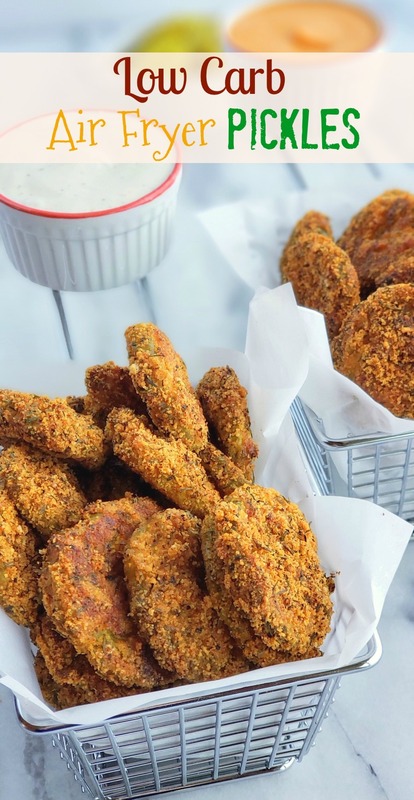 The pickles are made just like you are preparing them to go into a vat of hot oil, however, you just add them to the basket of your air fryer and turn it on. It’s so easy and without the oil mess. Making air fryer pickles requires setting up a dipping station, just as if you were making chicken picatta. Dip pickle chips in pork rinds, egg mixture, then in almond flour mixture, coating both sides and lightly pressing flour mixture into chips. You can spray the air fryer basket with cooking spray, I did not and it was fine. 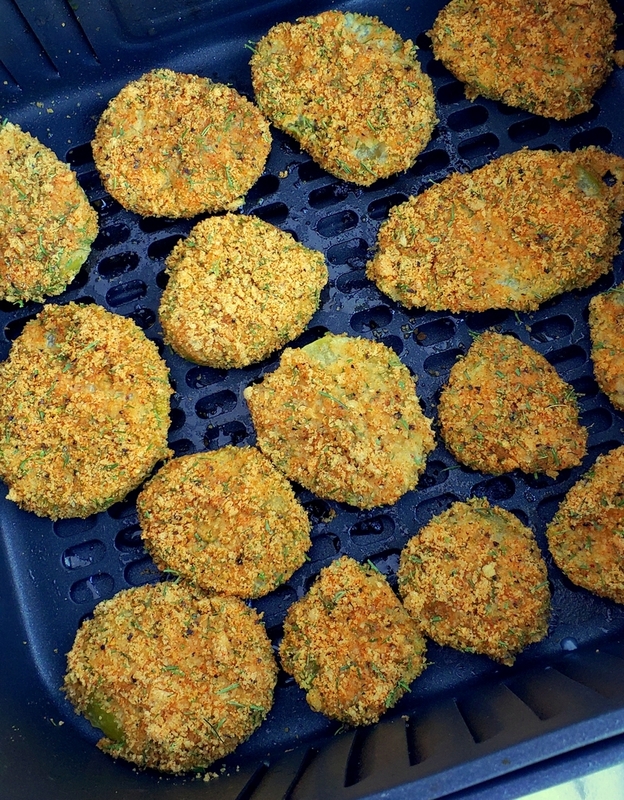 Place pickle chips in the air fryer basket in a single layer; spliting into batches. Air fry for 8-10 minutes. As you dip the pickles, place them on a large tray covered in parchment paper. Here they are in a single layer in the air fryer basket. I set my air fryer to 390 degrees F and I do not preheat it. The pickles are done and crispy in about 8-10 minutes. Keeping them in a single layer and working in batches is how you want to do it. This is my air fryer and I love it! 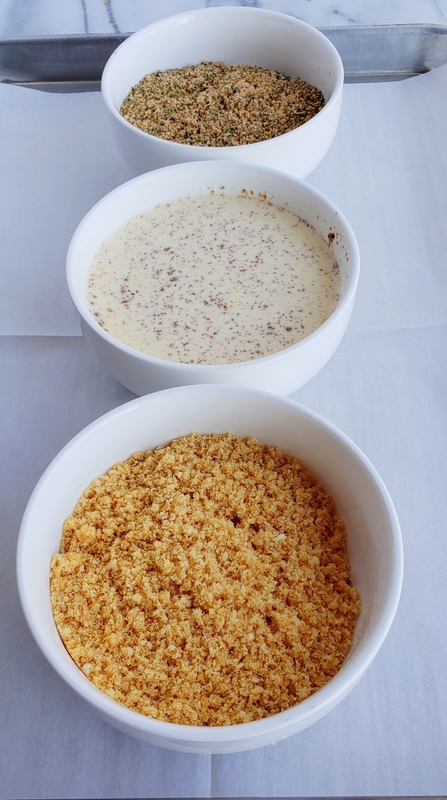 In a small bowl beat together egg, heavy cream and cayenne. Add pork rinds to the bowl of a food processor and process until they resemble crumbs. Place 1/2 cup of the pork rinds in a shallow bowl. In another bowl, mix the rest of the pork rinds with almond flour, dill, paprika and black pepper. Dip each pickle slice in the plain pork rinds, then the egg wash, then the almond flour mixture until all are coated. Working in batches, air fry pickle slices in a single layer at 390 degrees F for 8-10 minutes or until golden brown. Serve immediately with Sriracha Mayo and Ranch dressing for dipping. Oh, my gosh, these are SO tasty! And guilt free!!! The perfect solution for one of our favorite appetizer of all time! These look sooo good. Making it as soon as I get my hands in my new air dryer. 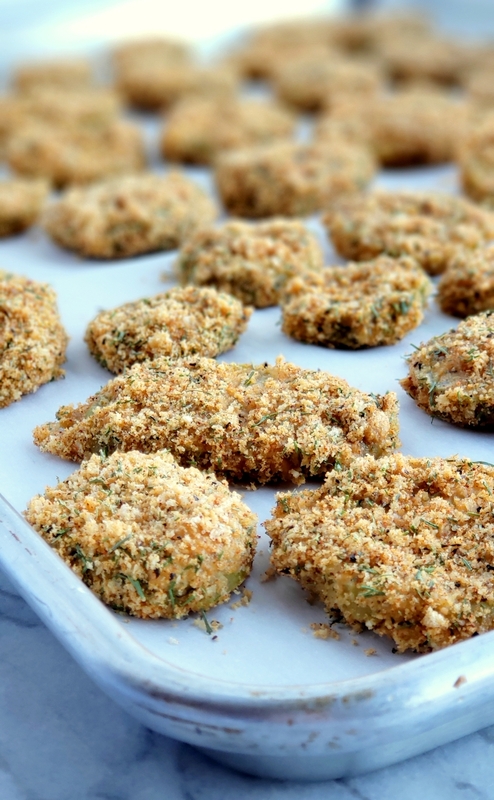 Such a great way to enjoy fried pickles without all the extra fat. 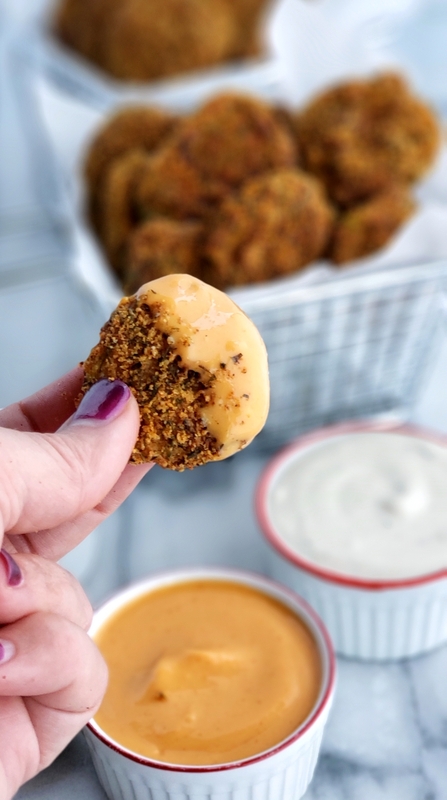 You just made fried pickles EVEN BETTER! LOVE this recipe! These were so wonderful!! Air Fryer Magic! I would suggest adding salt and garlic powder in with the dry ingredients. This is just another reason to fall in love with an air fryer. My family loved this! Perfect appetizers! You are genius. I will be eating these for months! Do you need to dry off the pickles when first getting started? I usually pick out all my pickles and place them on a paper towel lined baking tray before getting started. Oh yeah! I’m making these this weekend! Excited to make these! But when it says serving size 5 pickles is that 5 pieces/ chips?